Your site seems to be a very good source of information for people working on AWS. 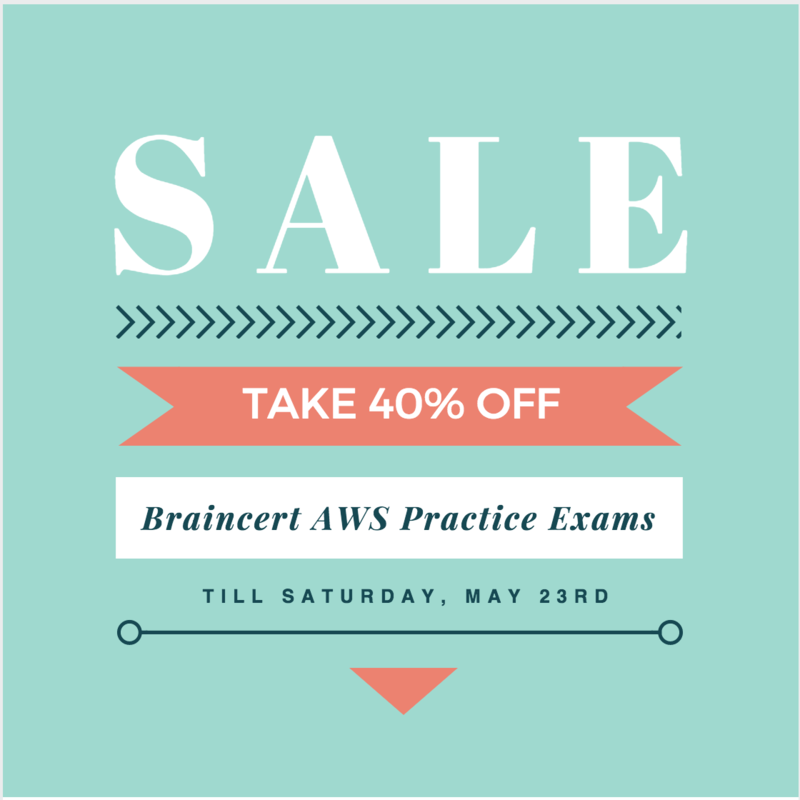 I believe the sample questions are for AWS Architect Associate Exam. I found few of the answers a bit different that it should have been. Can you help me some explanation. I believe the answer should have been B and C.
Option D seems wrong because if I configure NACL to restrict inbound connection from ELB then how the request will go from ELB to instances. Same case for option A too. Thanks for the feedback. You are correct. It should not be NACL cause even through NACL can be configured to allow web traffic from Customer IPs it should still allow Outbound traffic on ephermal ports.. A is wrong as the web servers do not accept traffic from Customers but from the ELB. So it should be using X-Forward-for which can give you the actual customer IP address and Security groups with just the customer IP address and deny all outdound as it is stateful. Hello, I have been studying this question and going back and forth on if A or C is more correct. A is not the best answer but it is not wrong. If the web traffic is passing through the ELB, then web server VPC security group should only allow the ELB as inbound. This configuration is allowing Web servers directly receiving traffic from customer by-pass the ELB. ELB is open to all and passing the Client IP address to the instances behind it which can then check the client IP address. C. ELB security groups to allow traffic from your customers’ IPs and deny all outbound traffic. Added the reason for the answer selection. SG are stateful. Would you able to help to ans this question? I believe B and E , please suggest. Thank you. D. Establish a new AWS Direct Connect connection and private virtual interface in adifferent AWS region than VPC-1. I got the same question in the SA Exam. B is for sure the answer as establishing a VPN connection to the same VPC is the recommended solution.. However, I was not able to get to the other correct option and marked E as the second answer by the process of elimination. Direct Connect does not work across region so eliminating D. Also Direct Connect does not work with VPC Peering so eliminating VPC-2 options A & C.
C is with a different VPC i.e. VPC 2 which is peering with VPC 1 but peering will not allow you to access VPC 1 resources. Right Jayendra…C is with different VPC…so C is not correct answer.. VPC-1?..I think only two option is correct..B and E.
For question number 2 , I believe the answer should be Destination : 20.0.0.0/16 and Target : Local which is not available of any option. Destination should be CIDR of VPC not CIDR of private subnet. You can not add the CIRD of private subnet where target is ‘Local’. Good catch, the CIDR block should be VPC CIDR block 20.0.0.0/16 with local as the target. Regarding question no 8; shouldn’t it be C.
Thanks Vivek, #C is correct as After you create a subnet, its CIDR block cannot be changed through any means and has to be deleted and recreated. so the answer is about the second subnet being attempted. not the first one. Question 25: Which two components provide connectivity with external networks? This would be tricky. All of them are valid. Also, EIP, IGW, VGW are all attached to a VPC, however EIP does not provide connectivity and a public IP address can be used as well. can you check this one again , i believe it should be (C) Destination: 20.0.1.0/16 and Target: vgw-12345 as when destination is VPN then will be sent to the VPN Gateway. D is the right answer as it needs to reach out to all the destination through the VPN gateway. I don’t understand q#5. Can you please explain ? The Question is targeting the security group configuration for NAT. NAT is basically to allow outgoing internet access for instances in the private group. You would configure the NAT and have outbound configurations enabled for http(80)/https(443) calls usually for package downloads. #C is incorrect as the instance is in Public Subnet and handled through Internet Gateway and needs to configured for the instance. Thanks a lot for the blog post. These are really very helpful. For NAT only outbound rule is required no inbound rules, as its for traffic to go out to Internet, not come in. So no inbound rule should be required. Even answer A should not be required along with C. What do you say? NAT should allow inbound from the instances from the private subnet instances. So A is required. Pls elaborate que #20 answer…. did you meant to say ‘used to create a NAT *instance*’? Yup the older Nat instance, edited the reply. In Question, if we consider, there are Public and Private subnets and assume that no NAT gateway created, that means NAT instance is created to connect for internet for public subnet, if so than it will not allow us to delete custom vpc…. Correct, as previously NAT Gateway, which was introduced recently and is a managed service by AWS, did not exist and you had to create a NAT instance, which is basically a EC2 instance only. In that case, AWS did not allow you to delete the VPC. So here as mentioned VPC was created with wizard and no instance is there, so it should allow to delete VPC..as i have checked…. As mentioned the questions refers to previous implementation and is outdated, but AWS exam as not updated with the new features as far as i have experienced. 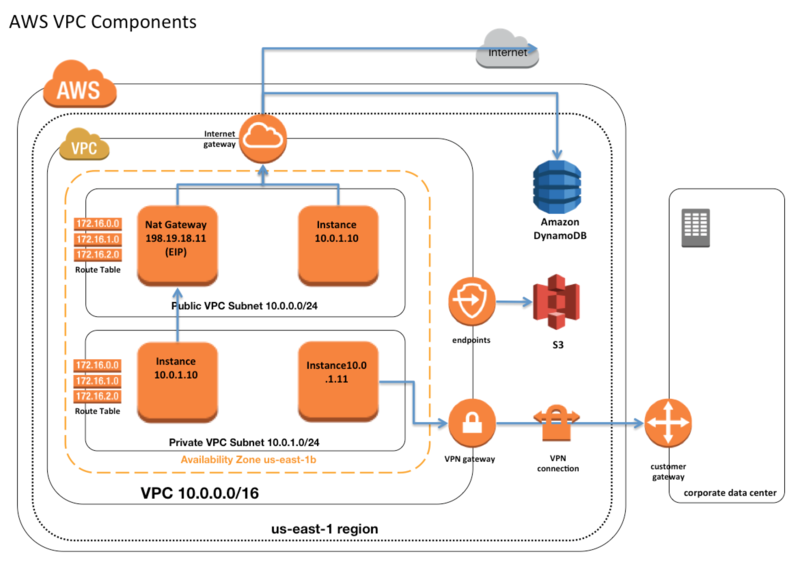 When creating a VPC using Wizard, previously, an NAT instance was created by AWS. So previously, as it was a normal EC2 instance AWS did not allow to delete the VPC. With the introduction of NAT Gateway, AWS creates a managed NAT gateway and deletes it when you delete a VPC. Is the NAT gateway deleted or detached on VPC deletion? You need to delete the Gateways and Instances, without which it will not allow you delete the VPC.
. thank you for giving such gr8 gt8 gr8 !!! Material…. and help…. Since VPC CIDR is 20.0.0.0/24, private subnet 20.0.1.0/28 cannot be part of the VPC, right? Network part of the VPC is “20.0.0”, so 20.0.1 is not part of VPC. Did you meant to say the subnets CIDR are 20.0.0.0/25 are 20.0.0.128/25? Thanks Satish, yup the questions seems wrongly framed as the private subnet cannot be part of the defined VPC CIDR block. Updated the questions with the correct CIDR range. Many THANKS to you for publishing these useful blog posts. I found questions at the end of blog post very helpful. Instead of highlighting answers in each question, may be it is useful to post the correct answers (like Q1: A, D. Q2: B, etc.) in the end. Users can do the questions and then compare their answers after doing all questions — this way they know how many correct answers they got and gauge if they are ready for the certification exam. Seeing answers while reading the question influences users’s judgement on answer choice. Will try to do it for new posts. Awesome! I think doing the new way for new posts should be good enough. Could you please explain question 9? The question targets the communication between VPC and an On Premises Data Center, where the CIDR block should not be overlapping. Hi Jayendra – Firstly, thanks for all your excellent posts. It is really a very good synopsis. In my opinion it should be – “C” . Can you please re-confirm? I will allow you to create the subnets with the CIDR block 20.0.0.0/25 as it would cover the IPs from 20.0.0.0 to 20.0.0.127. 20.0.0.128/25 would have the IPs from 20.0.0.128 to 20.0.0.255 which is non overlapping. Question does not talk about launching of NAT instance. With this how come option D is correct answer? This is an old question before the Nat Gateway was introduce where if you created a vpc with wizard it used too create NAT instance as well. Not valid anymore. Correct answer is A & B. Here is my explanation for the same. In case if you deny all outbound traffic in NACL it will accept the inbound traffic but outbound hence #D is wrong. Security Group can be configured to accept traffic from predefined customer IPs, but this does not work when the instances are behind an ELB as the instances do not get the Client IPs but the ELB IP. So in this scenario, the only thing you need to remember to do with the WebSecGrp is to open the 80 (and 443 for https) to the public internet. Inbound and outbound is open by default. Not when you create a new security group. But for Default it is. First of all, thanks a ton for the material – extremely useful! “VPC bounds the main route table with a private subnet and a custom route table with a public subnet”. Are we trying to say that for a subnet to be private, we need to edit the route table? Main Route Table which points to NAT is associated with the Subnets. As there is no internet access, they are private. Also, any new subnet created are by default associated with the Main Route Table making them private. Custom Route table is associated with Internet Gateway with the Subnets associated being public. For NAT, it is created by the wizard depending upon the selection used. I wasn’t aware of the scenarios while creating VPC using the wizard. Thank you! I have created VPCs manually and I see that a default routing table is created but no subnets are associated it with automatically. Shouldn’t C be the correct answer? I am not sure why d is correct answer. Because as I understand none of the CIDRs are overlapping. Can you just double check? 10. A user has setup a VPC with CIDR 20.0.0.0/16. The VPC has a private subnet (20.0.1.0/24) and a public subnet (20.0.0.0/24). The user’s data centre has CIDR of 20.0.54.0/24 and 20.1.0.0/24. If the private subnet wants to communicate with the data centre, what will happen? Hi Jay: So you mean the datacenter’s ID overlap will check with VPC’s CIDR , not only subnet’s CIDR? Thats right. The check is with VPC’s CIDR. For Question ‘1’ you mean using X-Forwarded-For from Apache level on webserver right ? Hi – re: Q 32. Can you explain why it is 4 and not 2. For Multi-AZ RDS to not be publicly accessible it needs 2 private subnets. Also for Web Tier to be hosted on the Multiple AZs you would need atleast instances to be hosted on 2 different public subnets. Hence the answer would be 4. Why we can’t put both RDS and web tier in same private subnets? In this case two private subnets would be enough, what do you think? Website needs to be in public, as there is no ELB or other service mentioned. This can be confusing, because we can think that all attributes should be set at the same time. Can we consider option D ,as NACL is stateless ,so DENY will work. Also option C is talking about security group which is stateless , Deny will not work. Security group are stateful and just need inbound rule. NACLs are stateless so you need to define rules for both inbound and outbound. hence D would not work. Question No.6. We are talking about configuring the Security group of NAT instance. NAT instance will not permit any inbound traffic from internet. It’s always outbound. So, the answer would be A & C as they are not required for NAT security group. If it would have been a security group of the web server then A is required for DB to Web connectivity. It does not require, For Inbound allow Source: 20.0.0.0/24 on port 80, as the public subnets already have access to Internet. So #C is not required. For Question 18, isn’t the answer B and C? Which question is this for ? Q 18 is a single choice. Question 18 Isn’t there is two not true statement? A and D ? Refer VPC Scenario 2. Actually a NAT gateway is created. But before NAT gateway, as NAT instance was created by AWS. For Question 19, how would option D would be right choice? when VPC is created it does not create the NAT instance automatically right? Sorry, above question is for Question 21 in this page. Check VPC Scenario 2 as a NAT is created when you create a VPC from Wizard. I am confused as to why we need two subnets for ELB. ELB do not belong any subnet. Elbs can be associated with multiple subnets. But ELB itself belongs to amazon infrastructure and scaled for you. So I don’t understand why we need sub nets for ELB. Also why can’t we have only two private subnets (in two AZs) each having one web server and one DB server.. Please explain. ELB is a managed service whose scalability is maintained by AWS. However, underlying it still launches instances to handle the traffic which is scaled accordingly. When you configure ELB you need to specify public Subnets (in case of external load balancer), in which the ELB instances would be launched. If you specific a Single Subnet and that AZ goes down, the ELB is non functional even though you have your underlying instances in multiple AZs. So the best practice is to have multiple subnets associated with ELB. ELBs themselves do not launch instances. Scalability Groups do, but they are not referenced in the question. The Availability Zones configured for the ELB (and their corresponding subnets) are where the Web Servers reside. I could see 6 subnets as being a viable choice if you could associate ELBs to (for example) Subnet1 and Subnet2, and independently have the EC2 instances running in subnets 3 and 4, but that will not work – not even with cross zone load balancing enabled. So the correct answer (which is not included here as an option) is two private subnets for the web-servers and two private subnets for RDS. The ELB will be configured to send traffic to the two private Web Server subnets, but is not itself independently associated with a subnet. Q14. A user has created a VPC with CIDR 20.0.0.0/16 using the wizard. The user has created both Public and VPN-Only subnets along with hardware VPN access to connect to the user’s data centre. The user has not yet launched any instance as well as modified or deleted any setup. He wants to delete this VPC from the console. Will the console allow the user to delete the VPC? I think the answer should be b because we must detach or delete all gateways and resources that are associated with the VPC before you can delete it. As there are no other components within the VPC, the console will delete all the setups. The user has created both Public and VPN-Only subnets along with hardware VPN access. Subnets has been created here. You can delete your VPC at any time. However, you must terminate all instances in the VPC first. When you delete a VPC using the VPC console, we delete all its components, such as subnets, security groups, network ACLs, route tables, internet gateways, VPC peering connections, and DHCP options. If you have a VPN connection, you don’t have to delete it or the other components related to the VPN (such as the customer gateway and virtual private gateway). If you plan to use the customer gateway with another VPC, we recommend that you keep the VPN connection and the gateways. Otherwise, your network administrator must configure the customer gateway again after you create a new VPN connection. For Qn #10, shouldn’t the answer be ‘a’ instead of ‘d’. As such there is no overlap here. ~ 20.0.255.254 and would overlap with the 20.0.54.0/24. Can you please explain how CIDR 20.0.0.0/25 and 20.0.0.128/25 are not overlapping. I was able to check the ip address range for these CIDR blocks using online tool. Can you guide me to some documentation that can explain why 20.0.0.0/25 is resolving to the range 20.0.0.0 to 20.0.0.127.
sorry , Not very clear on the CIDR block concepts. CIDR calculation is simple. The IP address is broken in 2^8 i.e. 0 – 255. 25 is the variable part of the address. 32 – 25 = 7 i.e. 2^7 = 128 addresses. hence 0 – 127.
for the below question. I am trying to understand the concepts better.. can you please provide some details or resource/link i can dig further? I am trying to understand this networking concept better & I do understand it could be an overwhelming topic but trying to understand this better at least at a high level. how will 20.0.54.0/24 overlap with this? communicate with the data centre, what will happen? 20.0.0.0/16 is superset and 20.0.54.0/24 would be a part of it. #43 and EIP will always incur a cost. EIP is not charged if its in use. If you get it allocated but do not use it, you will be charged. For question # 4 – Why option D is not right. You would need either an elastic IP or an Public IP to access the internet, right? For question # 8 – Why option B is not right? You need to open port 80 to 0.0.0.0/0 for outbound connection to the Internet, right? Thanks Hassan, its the latest AWS enhancement. Have updated the blog post. d. Another option (can’t remember fullly) but talks about creating secondary network instance followed by some other things. Should the disable Source/Destination question. Great! Thanks. I marked the right answer by means of eliminating the others. For Q30. the answer B is marked as the correct answer. Are you referring to the same question ? Q30 -Answer is B – It will allow to create private subnet CIDR 20.0.0.128/25. My point is that it can allow private subnet up to 20.0.0.127/25. It can allow 20.0.0.128/25, which will give it 128 IP addresses from 20.0.0.128 to 20.0.0.255. Can you please explain in detail about question 10? ~ 20.0.255.254 and would overlap with the 20.0.54.0/24, hence the traffic would not be allowed. Thanks for yours valuable inputs . However these questons are created by you or its originally came acorss exam. pls confirm. beccause for associate exam few quesitions seems very tough and should be asked in professional exam. The ones with larger prose are professional ones for sure and are tough involving multiple services. You can concentrate on smaller ones. Can you justify the answer for Question number 34. Because i am suggesting answer would be B. Even though ELB is a managed service, AWS launches an EC2 instance in an AZ for routing the traffic. If the AZ goes down the ELB is going to go down as well. If you attach 2 AZs to ELB, AWS launches ELB instances in the 2 AZs, which can route traffic traffic. Can we have two public subnets where we can have ELBs and WebServers and two private subnets for RDS instances, since we need to assure only the DB is not available from the Internet. You can have that combination as well as the requirement is for database only, however that is no a part of the answer. Could you please help explain question 5? Via VPC wizard, the default subnet is public subnet, right? Why the answer is B, not D? They are not public by default. It creates a public and private subnet, which are associated with custom and main route table. The idea is when you create a subnet, it is by default associated with the main route table. And it is best to have the main route table not exposed to IGW so that the subnet is private by default. Many thank for your help. 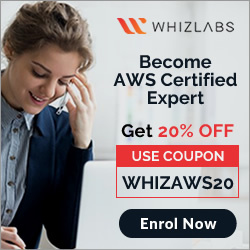 It’s a great website that you can learn AWS and get AWS certifications. Thanks Kai, happy to help ..
question 14, 20 and 21 seems a bit confusing . Can u please clarify my doubts? in q20 you say that “A NAT instance configured to allow the VPN subnet instances to connect with the internet” is not present when the VPC is setup with the wizard. In all the questions the setup seems to be the same (viz. a public subnet and a private net). Please clarify my doubts . q-14, is using VPC public and VPN subnets. Hi Jayendra, You mentioned in Q14 VPG is attached. While testing it shows that we need to detach the VPG first and then delete VPC. But your correct answer says it will directly delete VPC and it will detach VPG automatically. Also could you please help little more to understand the use cases on VPG, VPN endpoints, Customer Gateway and VPC endpoints? You can delete your VPC at any time (for example, if you decide it’s too small). However, you must terminate all instances in the VPC first.When you delete a VPC using the VPC console, we delete all its components, such as subnets, security groups, network ACLs, route tables, Internet gateways, VPC peering connections, and DHCP options.If you have a VPN connection, you don’t have to delete it or the other components related to the VPN(such as the customer gateway and virtual private gateway). If you plan to use the customer gatewaywith another VPC, we recommend you keep the VPN connection and the gateways. Otherwise, yournetwork administrator must configure the customer gateway again after you create a new VPN connection. VGW and CGW are required to establish VPN connections between your premises and AWS VPC. VGW is on AWS side while CGW is on your side. VPC endpoints help resources in AWS connect to AWS resources like S3 and DynamoDB through AWS internal network instead of internet providing low cost, high speed as well as security by keeping your resources private. Can you please help me in calculating IP’s in a particular CIDR block as i am not able to solve the questions which includes calculation of IP’s or solving overlapping IP’s. I am preparing for Solution Architect Associate level exam and my exam is in the next week please help me. Refer to https://www.lifewire.com/cidr-classless-domain-routing-818375 which provides a simple understanding. You just need to understand how many ips are available and whats the range. why are webservers in privare subnet? in q.23 why 20.0.0.255 is not in private subnet?? the last ip address is reserved. q18-> VPC will launch one NAT instance with an elastic IP. the question is which is not correct. So VPC wont create NAT instance right? or i am missing something? VPC wizard used to create a NAT instance before the NAT gateway. So this statement is true. Answer: Egress only Internet gateway. can you please help me understand this. I thought its through nat gateway. Hi, Can you please simplify explanation of how to identify the CIDR block overlapping scenarios. I see there are lot of questions mentioned here. I think I lack in some understanding which is why I cannot identity what IP range overlaps in a certain CIDR block. Can you please explain, or direct me to any simplified explanation? Sure will try to add a new topic on the same. You can’t authorize an Amazon EC2 security group that is in a different AWS Region than your DB instance. You can authorize an IP range, or specify an Amazon EC2 security group in the same AWS Region that refers to IP address in another AWS Region. If you specify an IP range, we recommend that you use the private IP address of your Amazon EC2 instance, which provides a more direct network route from your Amazon EC2 instance to your Amazon RDS DB instance, and doesn’t incur network charges for data sent outside of the Amazon network. This is my 1st thread in this blog. So not sure if I have posted in correctly. Could you please respond when you get a chance. I am getting the below error while attaching an EIP to an instance in North Virginia. But do not see this error in Mumbai region. FYI my VPC and Security group is default for the EC2. Attached an Internet Gateway (IGW) to the VPC. Seems to be missing. But its a default VPC. Do you still need an IGW for a default VPC? Ah!!!! I realize by mistake I have deleted the defaulted IGW for that region. But not sure why even they allow to delete the default IGW or even the default VPC in the first place itself. And one more thing I observed. Although they are allowing to delete the default security group, IGW and Route table but you can not delete the default NACL. Why is it so Jayandra ??? Question checks for components not present. Custom route table is created and associated with the public subnet. a.The security group of the instance is not configured properly. bThe instance is not configured with the proper key-pairs. c.The Apache website cannot be accessed from the Internet. d.Instance is not configured with an elastic IP. The website can still work if the Instance has an Public IP. Elastic IP is not mandatory. Thats right there are limited sets of private IP ranges that you can assigned as a part of RFC standards. for query 10, why 20.0.54.0/24 is overlapping? o, I found the answer in previous comments. Q35: why choice 4 is correct. ELB doesn’t scale up. to me 5 and 2 are the correct answers. Would you 3xplain? Hi Farzin, refer to ELB documentation. ELB does need ip addressess and if it requires more if it scales. 1. Does it apply to ELB classic only? The link you sent is just talks about classic. 2. Does it create a new ENI once it scales out? it applies to ALB as well as they scale as per the traffic as well. also: Why #2 is not correct? I know was receive 5 ip, however just one for DNS. AWS reserves 5 IP address, so its partial information. jayendrapatil, yes, ELB needs CIDR block with at least a /27 bitmask, then here it is difficult to count it as right answer, because elb and its associated instances should be in same subnet, but the question is the subnet is only defined /28. 16-7-5=4 left instances buffer. only e is the right one. Thats right Aaron, however given 2 options are needed that is the only one that makes sense. Hi Jayednrapatil, thanks for your usefull blog. I see that you mentioned the below point in IP Address section of VPC components. What i observed is if i assign elastic ip to the secondary private address of an instance the public ip associated with primary private address remains unchanged. In this case an instance can have both public and elastic ip as well. As you are assigning the elastic ip to another network interface, both would co-exist. The statement is for a single network interface. I think for ques-4 the answer a is valid but d also could be a reason as if an instance is having any service running on it but not associated with an Elastic(public ) IP so in that case it would not be accessible to the user on internet in anyway. It can be publicly available using a public ip as well. Elastic IP is not mandatory. Instance can be launched without a public/elastic ip with just the private ip. Its just that option d is more complete. The question does not mention its a public subnet. So whether a internet gateway exists is doubtful. for question 38 – if we this option , will that be a correct answer? The option would work. You need to choose the best option. If this is the only workable option, you can select this. However, public subnets are not needed.